You may sometimes stumble on the term “prompt” especially in dog training circles. What exactly is a prompt, and why is it important to understand its meaning? Let’s first start by taking a look into the etymology of the word”prompt” so to gain a better insight. According to the Online Etymology Dictionary Website, the word prompt derives from the Latin word”promptus” meaning “to bring forth.” In a theatrical sense, the word was used in the past to mean “to assist a speaker with lines.” A prompt is therefore a “hint,” basically some type of aid meant to bring forth and “prompt” a certain behavior making it more likely to happen. 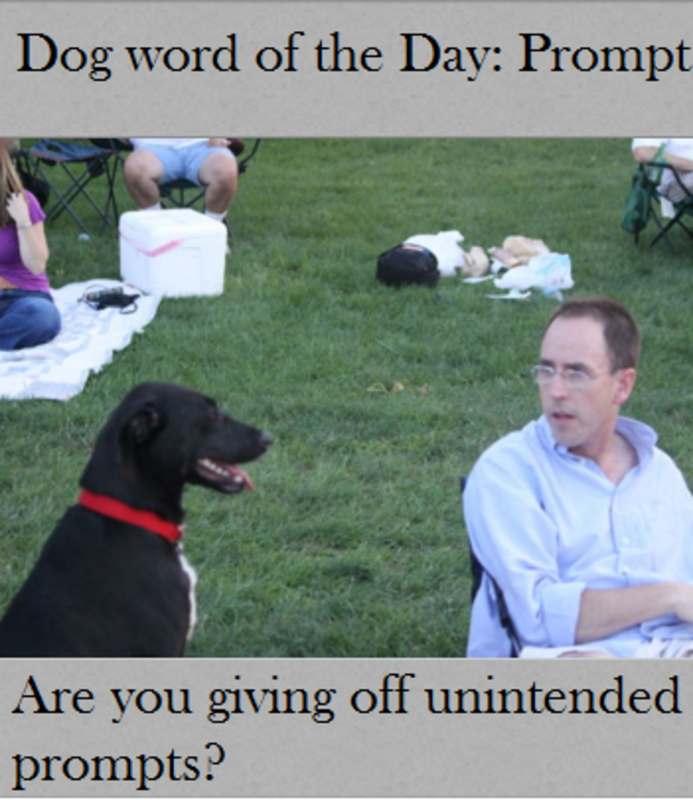 A more fancy way to put it is defining a prompt as an antecedent (something that happens prior to a behavior) that evokes a dog to perform a behavior that otherwise is not very likely to occur. 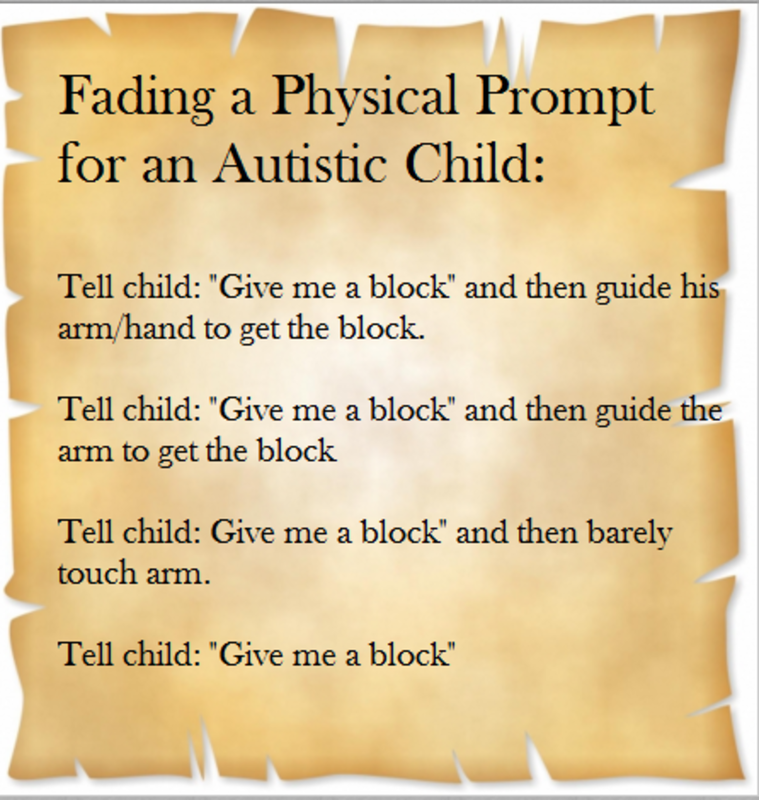 The act of using prompts, is known as “prompting“ and it’s not exclusively used in dog training; indeed, it has even been used to teach autistic children! Some people may watch a dog perform tricks and remark as they watch in awe: ” Wow, I could never get my dog to do such a thing!” The fact is, when somebody looks at an impressive dog trick, they are looking at the finished product of many rehearsals and miss out seeing everything that has happened behind the scenes. Just as with actors, it takes many reps and the addition of aids (prompts) to “assist the speaker with lines” in the case of an actor or ” to encourage a dog to evoke a behavior” in the case of a dog learning a trick that’s not part of the dog’s normal behavioral repertoire. 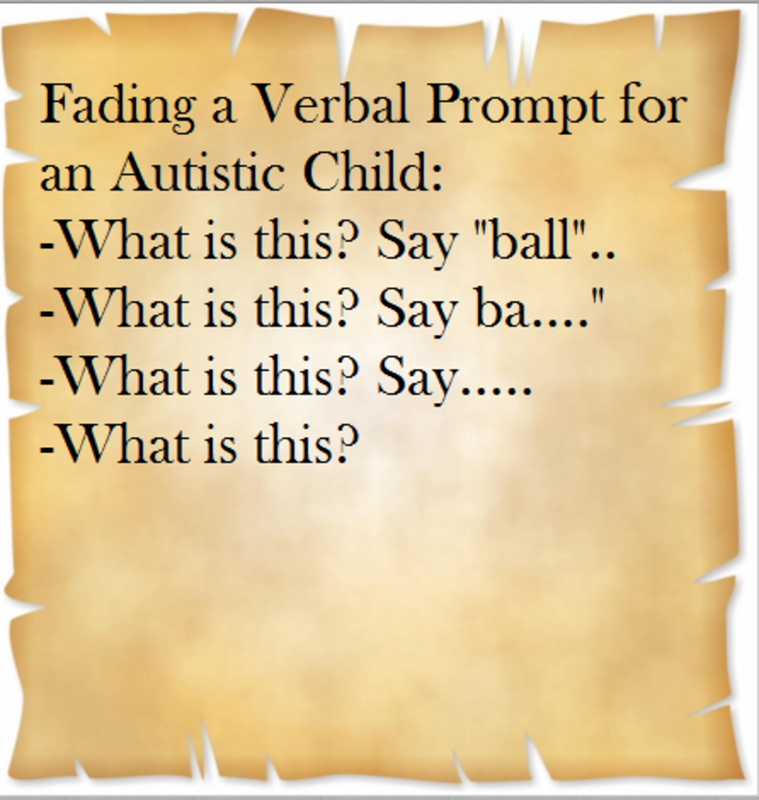 As seen, the use of prompts are hints, or better aids, meant to increases the likelihood of a behavior. 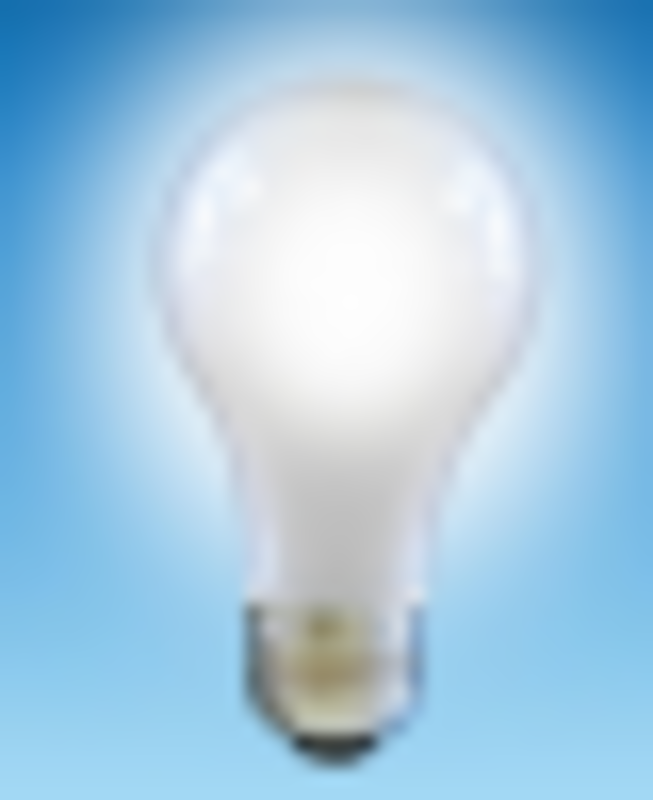 Most prompts come directly from the trainer (they are trainer-mediated) and there are different categories. What are examples of some prompts in dog training? Several examples are listed in the book “How Dogs Learn” by Mary R. Burch and Jon S. Bailey. If you encourage your dog to jump over an obstacle by pointing, the pointing hand gesture is a gestural prompt. If you jump over the obstacle yourself first to show your dog what to do, (this might be worthy of trying since turns out dogs are pretty good in mimicking our behaviors a study says) you are using a modeling prompt. If you are guiding your dog through the obstacle by using a leash, you are using a physical prompt. And what about using a treat or tossing a ball to guide the dog over the obstacle? In this case, the treat or ball in dog training is called a “lure” (yes, just as a fishing lure that attracts fish!) and the treat may work as an olfactory prompt and the hand movement that is used to guide the dog may work as an orienting prompt. At times, we involuntarily deliver prompts and we aren’t fully aware of them. An example is a person who tells a dog to sit and without noticing it, simultaneously lowers the head downward. The person is not fully aware of the lowered head action, until he watches a video recording of his own behavior or he is told about the head lowering action by a person observing. It may seem something minor to us, but dogs being masters in reading our body language, readily notice those lowered head motions and pay closely attention to them. So when we reward a dog for sitting upon saying the verbal cue “sit” we may think we’re rewarding the for attending to the verbal cue “sit” while from the dog’s perspective he’s actually attending to our lowered head motion! The lowered head motion becomes so relevant to the dog that the moment the person becomes aware of it and says “sit” without lowering the head, the dog doesn’t sit because the head lowering movement (the most salient prompt from the dog’s perspective) overshadows the verbal cue. This is just an example of an unintended prompt insinuating itself in our training sessions without us even noticing. On top of lowering the head, there are many other even more subtle prompts that may be evoking the sitting behavior such as making eye contact, standing in front of the dog (try asking a dog to sit with your back to him, if he doesn’t sit, most likely standing in front of your dog and looking at him is the most relevant prompt). Before blaming our dogs for poor performances, we should really critically observe what we are doing! This is why it’s important to pay attention when we are training so to avoid unintended prompts to get in the way and gain control. Recording yourself or having a person watch you, is also helpful if you are in doubt. “Recall that when reinforcement occurs, it reinforces all the antecedent stimuli present and that includes any non-evocative stimuli we might seek to install as the primary cue as well as any prompts we might use and even perhaps unintended but present stimuli.” ~James O’ Heare. While prompts are helpful in allowing a dog to succeed, we want to get rid of them quite early in training as they can become quite habit forming, which leads to problematic prompt dependence. After all, if an actor is always readily helped every single time he forgets a line, the actor risks relying on suggestions too much and his performance will significantly lower! Same with dogs. The term prompt is indeed, as we have seen, used to depict aids that are temporarily used in the initial stages of training. Some people refer to them as crutches, supportive aids that may allow you to float just for the time being of getting acquainted with water until you learn how to swim. To take training to the next level, it’s important that prompts are replaced with a new permanent cue, which becomes the primary, evocative stimulus once the prompts are faded into less significant forms or extinguished. 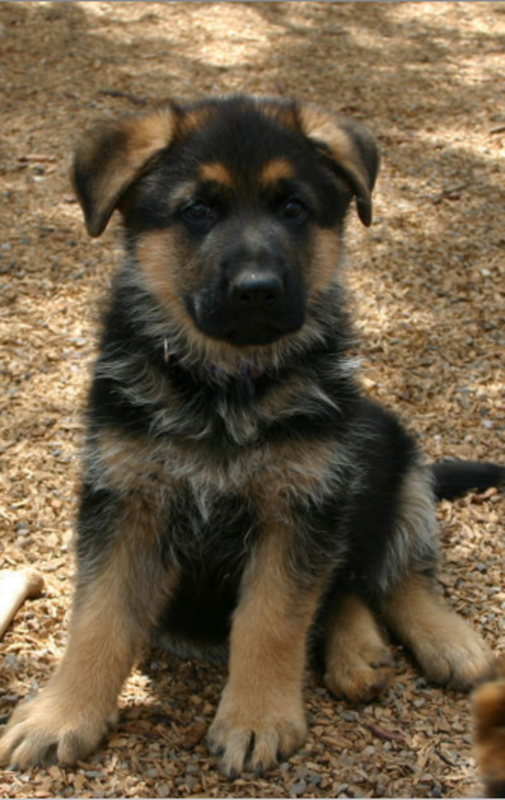 There are different procedures to use in dog training to fade the reliance on prompts. Here are a couple. “Since fading is the technology for eliminating the prompt, prompting and fading go hand in hand.”~Pamela Buitrago. With dogs, one of the most important prompts to fade right away is the presence of food. If we need to always show a food lure to get a dog to jump over an obstacle, that day we are caught empty handed with no treats, we shouldn’t be surprised if the dog doesn’t jump over! But is this really what’s actually happening? On the other hand, several claim that dogs don’t really go on a strike when they don’t see food (unless perhaps owners are purposely dangling food in their faces to get them to do behaviors they know well). Another possibility of what may be happening is that the presence of food has become the most salient prompt, the most important piece of information telling the dog what to do. Without, it, the dog is lost without the aid, just as a child deprived of arm floaters, has no clue what to do to stay afloat. Basically, the food lure has become a long-term part of the antecedent cue, explains Kelly Gorman Dunbar on Dog Star Daily. The food is telling the dog exactly what to do and the dog overly depends on it. Regardless of what is truly going on, one thing is for sure we want to prevent this over dependence. Even puppies can be trained with prompts! If you have been using a food lure under the form of a treat to make your dog sit by guiding the treat from the your dog’s nose over the head and then saying “yes!” and rewarding with a treat the moment his rump touches the floor, after a few reps you want to stop showing that treat. How do you do this? You simply stop showing the treat. Here’s how. At the same time, you’re also reassured: “Hey, I can get my dog to sit without a treat in his face! Cool! “Soon, you both learn that dog training can keep on going with no food is in sight. A win-win! On top of that, since your dog is no longer passively following the food, there’s some more active learning going on as the prompting power transfers from the food lure to the hand signal. Now, it’s time to decide what to do next with hand signal, do you want to stick with it and fade it out a bit or transfer it exclusively to a verbal cue? Or do you wish to use both? There’s nothing wrong with using hand signals to train dogs, they can actually be quite impressive to watch as dogs perform behaviors without the trainers saying a word, but people may prefer to stick only to a verbal command. 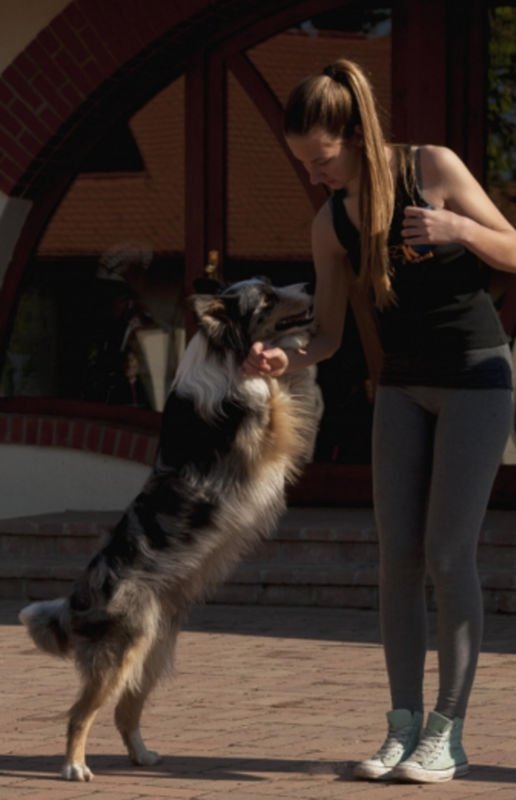 This transfer takes a bit of practice as from a dog’s perspective, our body language and movements are more salient than our verbal cues as dogs don’t speak English as a second language! Here’s how to do it. If you have been using an upward hand gesture to get your dog to sit and your dog reliably responds, you now want to introduce the new verbal cue. Anytime you need to introduce a new verbal cue it must consistently precede the known gestural prompt, so simply, say the verbal cue “sit” right before you perform the hand signal. When your dog’s rear touches the floor, say “yes!” and promptly reward. Repeat this several times. What we are trying to accomplish is sort of telling the dog “You hear the word “sit?” It’s the same thing as the hand signal.” Through several reps, the dog starts pairing the two and catching on. Because dogs like to anticipate (dog trainers call this “jumping the prompt”), at some point you may notice your dog sitting the moment you say “sit,” even before you perform the hand signal! — but if you wish, you further help your dog by purposely delaying the hand signal after saying “sit” to give your dog time to think and see what happens next. If your dog sits upon hearing you say “sit,” make sure you follow with an enthusiastic yes! and give two to three treats in a row to inform your dog that “Bingo! 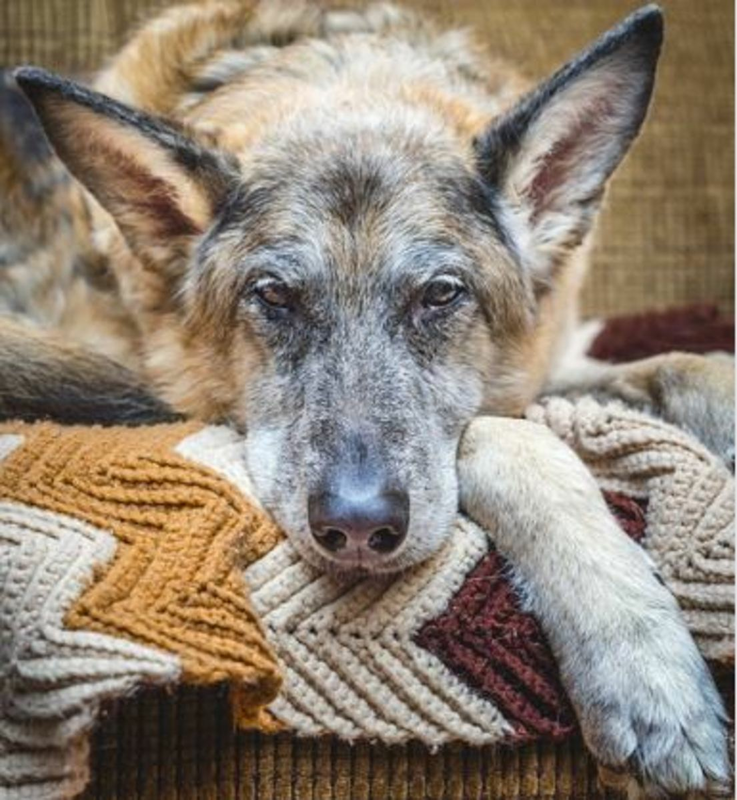 You got it right!” When the dog starts reliably sitting upon hearing the verbal cue “sit,” it’s a sign that the evocative power has successfully transferred to the new verbal cue. 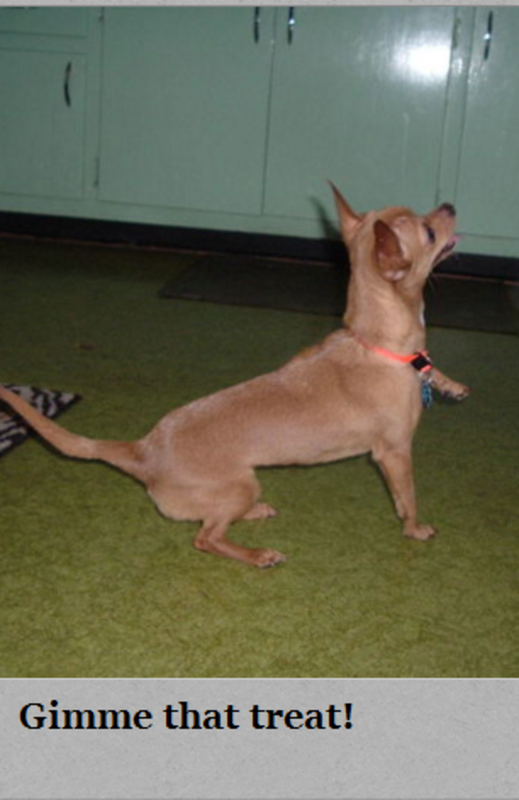 For dog owners who would like to continue using a hand gesture to get their dog to sit or perform any other behaviors that were taught through gestures, they may want to make the gestural prompt less and less prominent. How can we gradually reduce the prominence of the prompt? The way to do this is to make the hand gesture gradually less and less evident. This process is easier than the prompt delay procedure above as we’re not looking at transferring control from gestural prompt to a verbal cue which can be tough for dogs. To accomplish this, we simply morph the original hand gesture making it less and less evident. If done gradually enough and through repeated trials, most dogs quickly pick on courtesy of generalization. The dog basically learns to attend to less-specific criteria because it shares some resemblance of the old gesture. So if we were making the dog sit by using a hand gesture starting close to the dog’s nose and then upwards over the head, now we can moving our hand gradually less upwards, then gradually farther away from the nose, until the dog sits with a mere upwards gesture of our hand. The goal is to make the new gestural prompt less and less similar to its original luring motion and more and more like the final gesture we wish to use. Using this method, you can train your dog to perform behaviors with very subtle gestures. Now call that impressive! Springer Science+Business Media. “Dogs imitate novel human actions and store them in memory.” ScienceDaily. ScienceDaily, 16 July 2013.